Here before us a sea reached to the horizon, rippling like an inland mere; and behold! close at our back another sea assaulted with assiduous fury the reverse of the position. -R.L. Stevenson, In the South Seas. Home, sweet home. At least for our sojourn at the Kia Ora Sauvage. 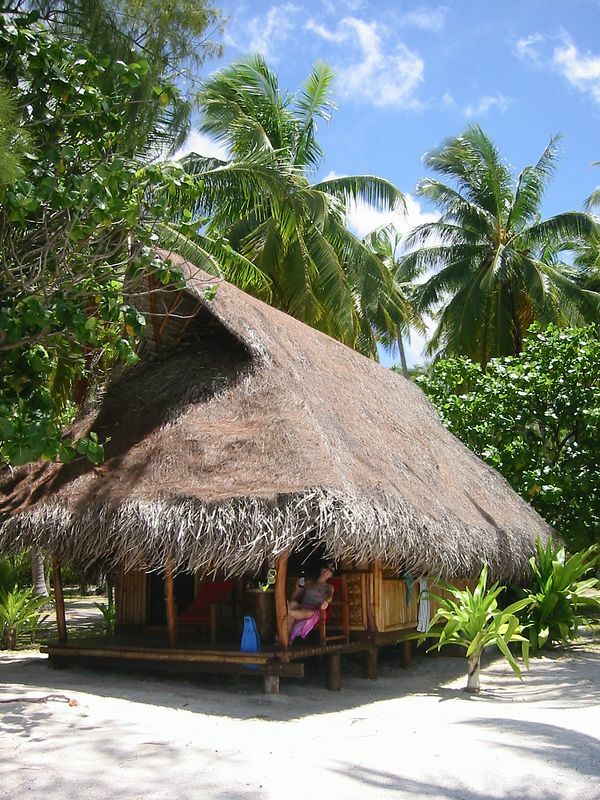 Five bungalows, no electricity, no hot water, no problem! Especially with a Hinano in hand.